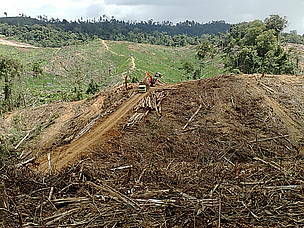 Forests conversion involves removing natural forests to meet other land needs, such as plantations, agriculture, pasture for cattle settlements and mining. This process is usually irreversible. Conversion of forests – from South America's tropical forests to Russia’s temperate forests – to meet worldwide demand for consumer products is leading to deforestation and a range of ecological and social impacts. As a result, agriculture is widely believed to be one of the main causes of deforestation. Around the world, forests are giving way to plantations for oil palm, soy, rubber, coffee, tea, and rice among many other crops. Of increasing concern is the soaring popularity of biofuels. Biofuels are generated from oils extracted from plants such as oil palm – which are often grown on land cleared of natural forests. There are concerns about the social impacts of agricultural expansion. For example, in the expanding soy plantations of Brazil, poor people are lured from villages and deprived neighbourhoods to remote soy estates where they are put to work in barbaric conditions, sometimes at gunpoint, with no chance of escape. Worker abuse is especially prevalent where there is strong agricultural expansion, such as in the Amazon states of Pará and Mato Grosso. Although this abuse happens in remote farms, the landowners who are responsible are closely connected with the rest of the world through their soy trading activities. Rising demand for soy, palm oil, cocoa and coffee is translating into expanding plantations for these crops worldwide. Many of us unwittingly contribute to forest conversion in our consumption of everyday products. For example, palm oil is used to make a whole range of cosmetics, detergents and food products including shower gel, margarine, and ice cream. Soy beans are used to make cooking oils, bread, puddings and sweets and are used in the manufacture of paints, adhesives, fertilizer and insect sprays. 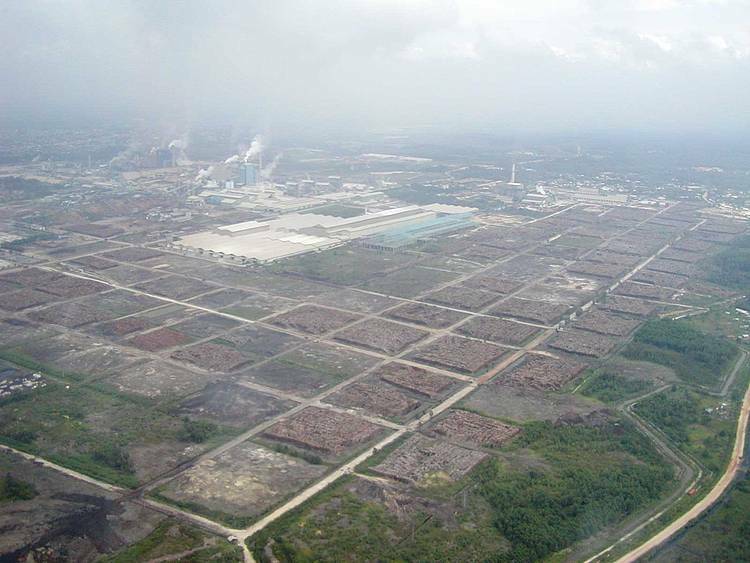 And for paper products, pulpwood plantations clear acres of forest to satisfy demand. This human 'footprint' on the Earth shows how our behavior in one part of the world can have negative impact on tropical forests and the people living in other part of world. Cheap land, labour, and government subsidies are creating more and more supply of agricultural goods, and to meet needs for increased production. Poorly implemented environmental regulations are added incentives for some landowners and producers to convert forests for plantations inside protected areas, intimidate local people so that they are driven off their land, and set fires to clear land with little fear for interference by authorities. Global trade arrangements and trade barriers, such as the EU trade barriers for meat compared to 0% tariffs for soy beans. Agriculture is the largest single cause of deforestation and severe forest degradation. Except in Africa, large-scale livestock ranching and plantation agriculture are generally overtaking small-scale farming as primary causes of conversion. 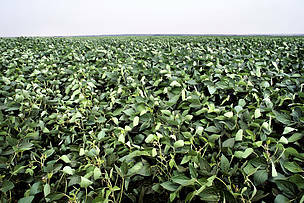 Soy supplies one-fourth of vegetable oils globally, and demand is expected to rise to 300 million tons by 2020 globally. Global palm oil production is expected to nearly double by 2020. Malaysia and Indonesia dominate the global market for palm oil with 90% of all exports. Half of the world´s commercial timber is used for paper production. This wood often comes from plantations that replace native forests. The orangutan, known as the red man of the forest, is losing vital habitat as the forests of Sumatra and Borneo are in demand for conversion to palm oil plantations. Habitat conversion from natural forests to oil palm plantations has been shown to have a devastating impact on tropical forests, along with plants and animals that depend on them. In 2006, about 6 million of the 11 million hectares of oil palm plantations globally were in Indonesia. In many areas, these plantations are taking over rainforests, the natural habitat of endangered species such as orangutans. 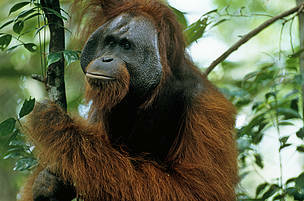 Scientists estimate that less than 60,000 orangutans now remain in the wild on Borneo and Sumatra. The palm oil industry, which is causing clear-cutting of forests, forest fires, and also facilitates greater access for hunters and traders, is one of the most important factors in the dramatic reduction of orangutan populations. 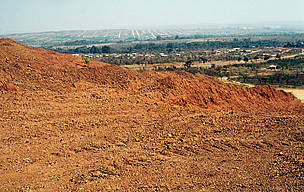 Soil erosion commonly appears after conversion of forests to agricultural land, sweeping away fertile soil and pesticides. When forests are cleared, the exposed topsoil often begins to erode, increasing sedimentation into watercourses (for example, rivers). The situation worsens if there are no forests left along the banks of rivers to hold soil carried by rain. Coffee, cassava, cotton, corn, palm oil, rice, sorghum, soybean, tea, tobacco, and wheat are some of the crops whose cultivation causes soil erosion. Since 1960, an estimated one-third of the world’s arable land has been lost through erosion and other degradations. The problem persists, with a reported loss rate of about 10 million hectares per year. In reality, the situation may be much more worrying. Over the last five decades, increases in agricultural productivity have made it possible to produce more crops on the same amount of land. But because agricultural land is often degraded and almost useless, producers keep moving to more productive land. Globally, the land used and abandoned in the last 50 years may be equal to the amount of land used today. In the Brazilian Cerrado, the combined effects of deforestation and increased soil temperatures have made it difficult for rainwater to sink into the soil. When plantation areas of up to 10,000 hectares are exposed following deforestation, the soil becomes extremely vulnerable to wind and water erosion. As a result, desertification has become a serious threat to these areas, which experience a long dry season. 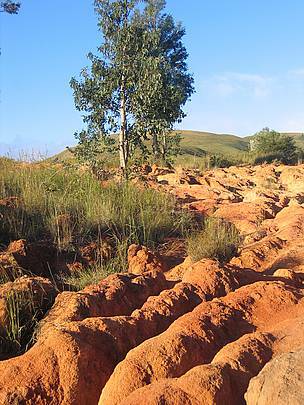 In the Santarem region, intensive rainfall causes erosion, especially near streams and rivers. The sediment is transported downstream, where it makes the rivers and coves turbid. 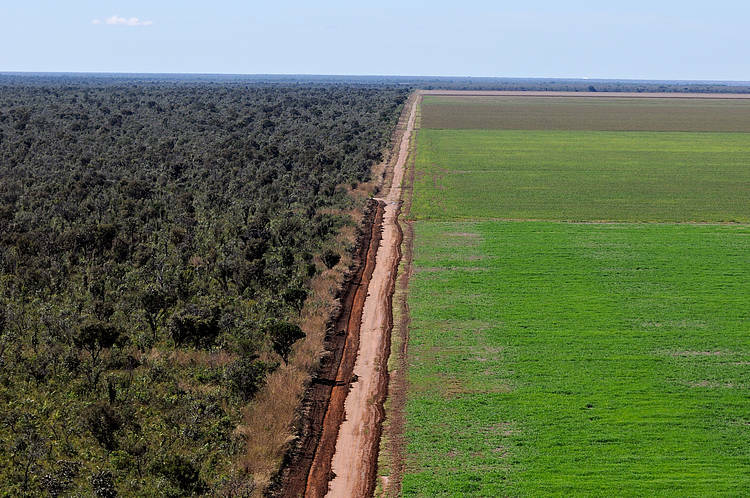 Urbanisation and erosion in the Cerrado, Brazil. Forests are not the only victims of expanding soy plantations in Brazil. Poor people, lured from villages and deprived neighbourhoods, are brought to remote soy estates where they are put to work in barbaric conditions – often at gunpoint and with no chance of escaping. Worker abuse is especially prevalent where there is strong agricultural expansion, such as in the Amazon states of Pará and Mato Grosso. Trapped in remote farms with no pay and few amenities, workers – including children – are forced to work inhuman shifts, sometimes even at gunpoint. Those who fall sick are abandoned and replaced by others. Although abuses happen in remote farms, the landowners who are responsible are closely connected with the rest of the world through their soy trading activities. While authorities do try to intervene, their limited capacity and the clout of big traders means that their impact is limited. Fines are too small to intimidate landowners, whose profits are large enough to cover them.